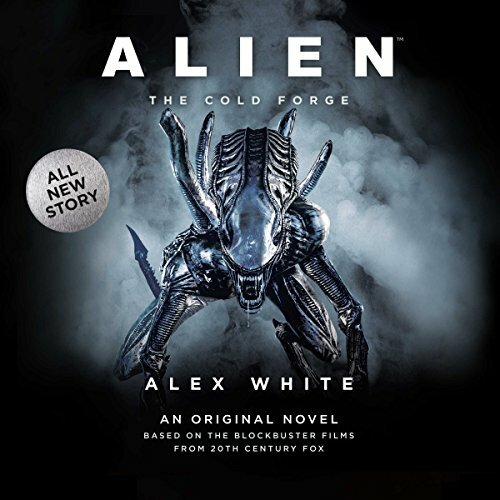 A dramatic new Alien novel, as Weyland-Yutani seeks to recover from the failure of Hadley's Hope and successfully weaponize the Xenomorphs With the failure of Hadley's Hope, Weyland-Yutani has suffered a devastating setback - the loss of the Aliens they aggressively sought to exploit. Yet there's a reason the Company has risen to the top of the food chain. True to form, they have a redundancy already in place...the facility known as "The Cold Forge". Remote station RB-232 has become their greatest asset in weaponizing the Xenomorphs. However, when Dorian Sudler is sent to RB-232 to assess their progress, he discovers that there's a spy aboard - someone who doesn't necessarily act in the company's best interests. For Dorian, this is the most unforgivable of sins. When found, the perpetrator will be eliminated with extreme prejudice. If unmasked, though, this person may be forced to destroy the entire station...and everyone on board. That is, if the Xenomorphs don't do the job first.